Rocks were not of my particular concern. That changed, when I applied for a job to fund my university studies and became a “part-time” miner: I was trained and licensed as a demolitions expert in a subsurface anhydride mine. While I left that particular field of business, I kept my interest in mineralogy and geomorphology and followed a winding path that led me to meteorites. In 2002 I formed an international team and planned its first meteorite expedition to the Ténéré desert in the Republic of Niger. 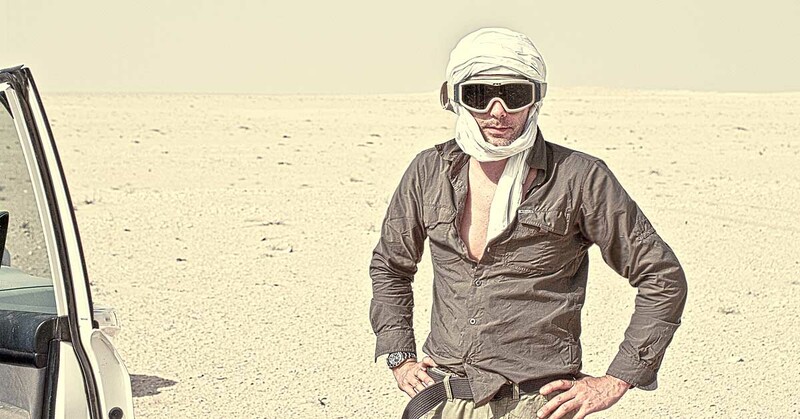 T he concept of Meteorite Recon was born in the great sands of the Ténéré. 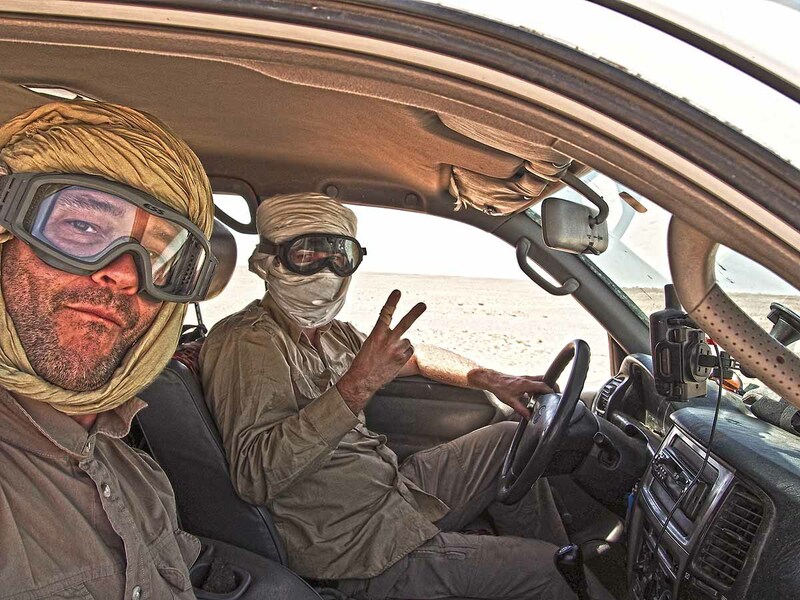 New team members joined and a dozen expeditions followed, the majority to the Central and Western Sahara. Today, more than 100 meteorites recovered by our team have been analyzed, classified and published, among them several rare achondrites and carbonaceous chondrites. Meteorite Recon provides data and samples to the leading institutes in the field of meteoritics. For our work in Northwest Africa we cooperate with the Université Hassan II in Casablanca and the Centre Européen de Recherche et d’Enseignement des Géosciences de l’Environnement (CEREGE) at the University of Aix Marseille. Apart from reference samples curated by the classifying institutions, meteorites traded and donated by Meteorite Recon are being kept in Natural History Museums and public collections in Europe, Morocco, Russia, Canada and the US. I am a contributing author of Lapis and Meteorite, a Harvey Award recipient, fellow of the Meteoritical Society, member of the Confrerie St-Georges des Gardiens de la Meteorite d‘Ensisheim and a founding member of the Mauritanian Meteorite Society. 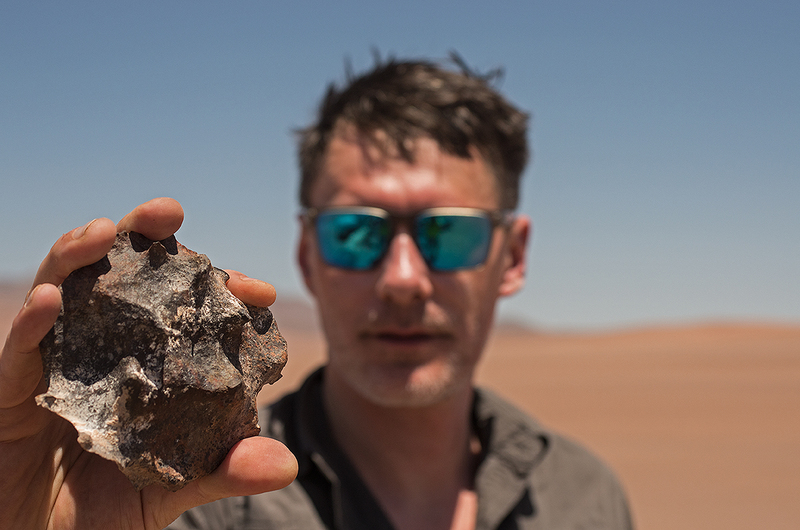 Meteorite prospecting in continental deserts is a team effort and the humble achievements would not have been possible without the people that support me. Our core team today includes a mineralogist, an engineer, a paramedic, a mechanic and a cook. Each profession is equally important and covered by a skilled and seasoned expert. All team members are trained in basic skills, such as off road driving, navigation, meteorite identification and find documentation according to scientific standards. Members of the field team are Alexeij Alexieev, Rainer Bartoschewitz, Thomas Fuellengraben, Andreas Gren, Marc Jost, Pjotr Muromov, Andres Koppelt, Thomas Kurtz, Axel Reiter, Roger Perrinjaquet, Rolf Poppinga, Sergey Vasiliev, my brother Henning and my cousin Peter Buhl. In addition to the field team, I trust in the expertise and support of friends and colleagues, among them the brilliant Professor Karl Wimmer, Dave Gheesling, Mathias Baermann and many others, without whom our endeavors would merely be possible.